Limpopo self-drive safari is a journey through stunning landscapes, ancient cultures and the African wilderness. The magnificent landscapes of the Soutpansberg mountains, in northern Limpopo. Elephants drinking at the waterhole by a photography hide. As you can see it from the boat. Pungwe safari Camp, one of the the remote and unfenced bush camps in the reserve. A lion pride hiding in the high grass in the early morning. This is not your classic self-drive in South Africa. This comes with a difference. 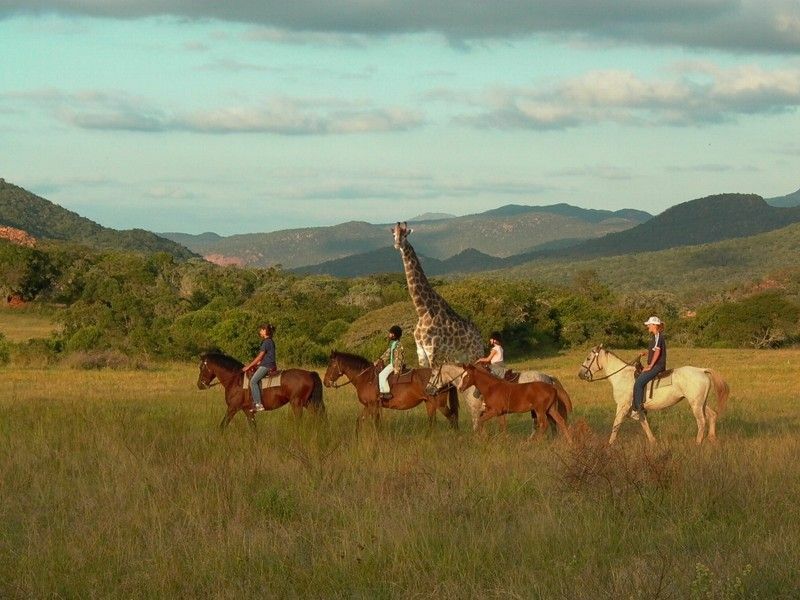 You will explore hidden gems like the Leshiba Wilderness by jeep, Horse or on foot. You’ll cross the Limpopo river border with Botswana, to enter into the land of giants: the Mashatu Game Reserve, in the Tuli Block. Then, you will explore the area of the Greater Kruger and the Blyde River Canyon. And eventually, you’ll end up trying a bush camp experience in the wilderness of Manyeleti. Stay at an unfenced camp, enlightened at night by lanterns only. Listen to the sound of the bush, with the spine-chilling call of the Hyena or the roar of the Lion. bush camp experience in the Manyeleti Game Reserve. The Venda Lodge at Leshiba has been built on the ruins of an ancient local village and designed by a world famous Venda architect. It offers a Spa and a great view over the valley overlooked by the Soutpansberg Mountains. The food is delicious, the ambiance very romantic. We’ll win an easy bet by saying you’ll rewaken your soul at Leshiba. The Tent Camp at Mashatu has spacious tents with en-suite bathroom and private verandah. 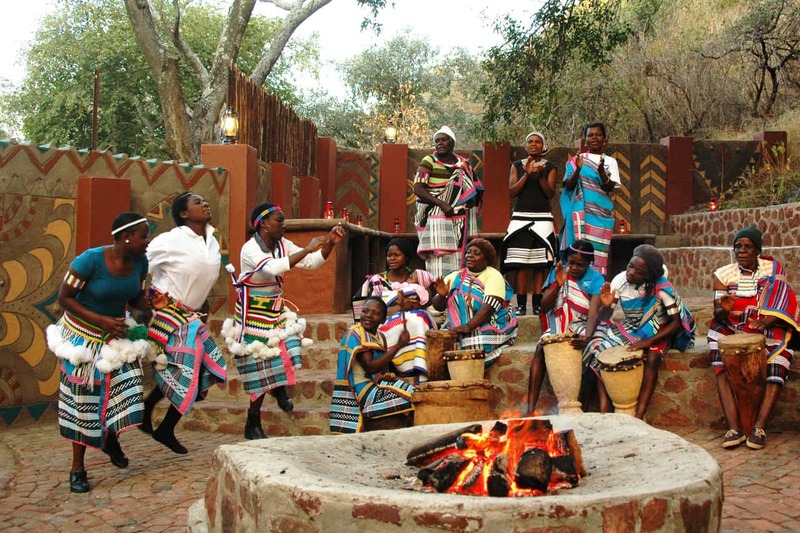 In Hoedspruit, you will stay at a lodge or in a villa in the bush or by the river. In Manyeleti, your accommodation will be at an unfenced bush camp with a great out-of-Africa wilderness feeling. All year-round. Game viewing is at its best during the dry season (May-October) because of lesser vegetation and scarcity of water. On the other hand, summertime is great for birdwatching. Pick-up of your vehicle at the airport and drive north to the Leshiba Wilderness, in Northern Limpopo. Start exploring this jewel of the scenic Soutpansberg Mountains on a game drive by open vehicle. In the grassy valleys of the reserve many antelopes, zebras and giraffes are roaming free, as well as the mighty white rhino. Return to to the lodge for dinner. After breakfast, go for a guided hike along one of the mountain trails. Admire the stunning landscapes of this rough beauty, which is also home to the elusive leopard, though you will have a much better chance of walking into a herd of white rhinos on your way. After lunch, make a choice on your afternoon optional activity: if you don’t want to go for one more game drive or walking trail, you can try to move around by mountain bike or by horse (advanced level required). Or else you can just indulge on your veranda or at the Spa of the lodge. And don’t forget you’re in the heart of the mystic land of the Vendas; ask your guides to know more about this ancient African civilization. Dinner at the lodge, which is well known for its fine cuisine. Leave Leshiba after breakfast and drive to the border with Botswana at Pont Drift. After having cleared customs, you will park your vehicle and will be transferred to your accommodation (Tent Camp) in the Mashatu Reserve, part of the Tuli Block. 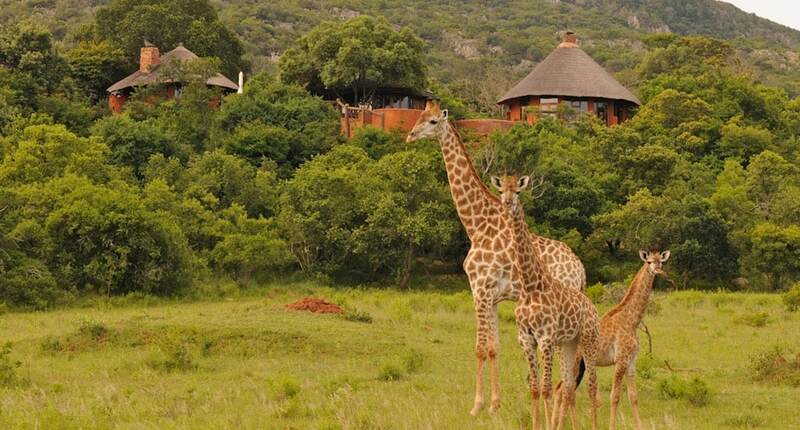 Join your first game drive by open vehicle in the afternoon, before returning to your camp for dinner. Explore by open vehicle with expert rangers this great wilderness on the other side of the Limpopo river, a natural frontier with South Africa. All the Tuli Block, and Mashatu in particular, is also known as the “land of giants”. Giants are the trees (the baobab and the Mashatu tree), the largest of all antelopes (the eland) and the largest of all land mammals (the African elephant). Let alone the big predators who roam around, like the lion, the leopard, the cheetah and the spotted hyena. Overnight at the Tent Camp, in full board. Last game drive in the morning, before heading back to the camp for breakfast. Check-out and transfer to the border, to pick-up again your vehicle and drive south-east to Hoedspruit, one of the main gates to Kruger National Park. Day at leisure. You can can decide to explore the Blyde River Canyon, the third largest in the world, or spend the full day in the Kruger National Park on a self-drive safari. If you decide for this last option, we suggest you to be at the Orpen Gate (45 minutes ca. from Hoedspruit) by the opening time. Drive then to Satara (along what is known as the feline area of the park) and then Olifants. 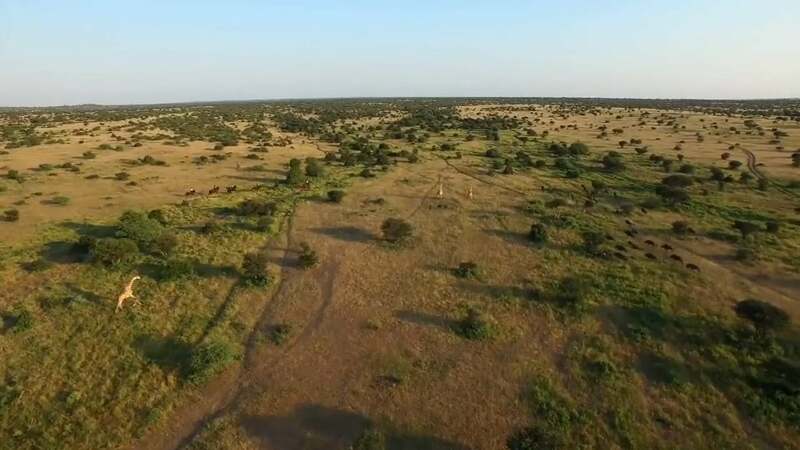 From there, you can decide to return to Orpen gate by driving along the scenic Timbavati (gravel) road, or keep on driving north to Letaba and the Phalaborwa Gate (1 hour drive ca. from Hoedspruit). Whatever your decision will be, we strongly recommend to not underestimate the travel distance between the camps and the gates, and to respect the closing time of the park. Morning at leisure. You still have the time to enjoy one or two of the Hoedspruit region’s attractions, like a boat trip in the heart of the Bldye River Canyon, a visit to the famous Kinyonga Reptile Centre or to the world star Jessica the Hippo. After lunch (we strongly recommend Cala la pasta Italian restaurant, for a true fresh home-made pasta main course), drive to the Orpen gate but just turn right a few meters before the boom, to enter in the Manyeleti Game Reserve. Follow the directions to your camp and join the afternoon game drive by open vehicle. Dinner and overnight at the camp. Explore by open vehicles, with local expert guides, the wildest and more pristine of all private reserves open to Kruger. After the morning game drive, breakfast and check-out. Drive to the Mpumalanga International Airport at the outskirt of Nelspruit, to return your vehicle and fly to Johannesburg or your next destination. Car hire with unlimited mileage and total cover (zero excess) insurance. Drop-off and (1) extra driver fee. 2 nights at the Venda Lodge (Leshiba Wilderness) in full board. 1 guided activity (game drive or hiking) per day at Leshiba. 2 nights at the Tent Camp (Mashatu) in full board. 4 game drives in Mashatu by open vehicle. Return transfer at Leshiba Wilderness and Mashatu. 2 nights in bushvilla or lodge (African Rock Lodge or similar) in Hoedspruit, with breakfast included. 2 nights in bushcamp (Buffelshoek or Ndzaka) in Manyeleti, in full board. 4 guided game drives by open vehcile in Manyeleti. Meals and activities in Hoedspruit.